If you intend to bring the rabbit at home, then it is the very common thing that your monthly expenses will definitely increase. Before buying a rabbit, it is best for you to figure out the expenditure and find out whether you can afford it or not. Rabbit is considered to be a very delicate animal. So you have to spend money on your rabbit for meeting their requirements as well as for health care. The prices always vary. That’s why we are giving you a rough estimate so that you may imagine about the expenditure before buying a rabbit. However, it can be taken for free from the shelter. They only take a small donation to cover the cost. Still, you should know how much it will cost. While purchasing the rabbit, people often do not remember the ongoing expenses of the rabbit while the rabbit can live with them for 8-10 years. For the purpose of helping you, we have tried to give you a rough estimate based on initial and ongoing costs. How much does a rabbit adoption or purchasing cost? How much does a rabbit cage cost? How much does healthcare cost for your rabbit? If you want to buy a rabbit for yourself or your child, the cost of the rabbit depends on two main factors. The first factor is where do you buy the pet rabbit from, and the other, which type of the rabbit breed do you like to buy. For example, if you buy a normal or mix breed from a pet store or rescue group, you will pay a lower price than buying a breed like Flemish Giant from a breeder. 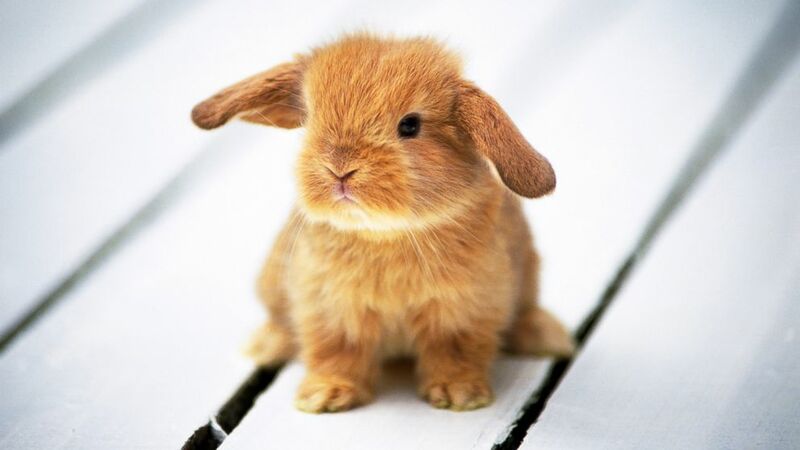 If you are thinking about buying a rabbit from the pet store, it will cost between $ 20 to $ 40. However, breeders often determine to vary prices for the specific breeds of the rabbits. Some breeders may give cheap rabbits as compared to pet stores but on the other side, others can charge about $ 100 for the rare breeds. The cost will vary if you want to adopt a rabbit from the rescue group also. The prices are $ 5- $ 20 if it is purchased from the rescue group. Adopting a rabbit from the private rescue centers you may have to pay $ 50+ but as well as these provide many benefits. Various benefits can be obtained from these centers within the certain time of the adoption of rabbits such as spay or neuter, free microchipping, and a free vet checkup. The cage plays the most important role in providing the safety and fun time to the rabbit. However, the cage is considered to be the biggest one-time expense. To keep your rabbit outside you need to buy a rabbit hutch but if you like to keep the rabbit in the house, then you should provide them a well-sized cage. Typically the cost of the hatchets is higher than the cost of the cages. But you can make hutch yourself also. If you cannot make a hatch, then you have to spend about $ 150- $ 200 to buy a sturdy hutch. When it comes to cages, most cages are available in too small size in pet stores. Because of the small size, the cages price is less than the others. But your rabbit does not feel comfortable in the small cage. So do not buy small cages as far as possible. On the other side, the cost of the large cages start at $ 80 and you can buy more expensive because the cost depends on the quality of the cage. Due to good quality, it is recommended to buy large cages because your rabbit can stretch out their legs and roam comfortably in the cage. Good quality cages include a hay feeder, a water bottle, a ramp, and a separate hiding place. That is why these cages are expensive. Otherwise, you have to buy these items separately from your budget. Indoor cages are found in various types of design. If you buy a nice indoor cage then you will have to pay $ 50- $ 100 on the cage. Also, you can buy exercise pen in $ 30+, NIC cube cage in $ 40+, and commercial cage in $ 100+. Your rabbit needs other essential accessories as well as the cage. Some cages come with some accessories such as hay rack, bowl and water bottle but some cages do not have these accessories. As a result, you have to buy these accessories separately. It will cost $ 6 for the water bottle and $ 6 for the bowl for food. You also have to pay for their grooming tools such as trimming nails and taking care of fur. The cost of the nail clippers is $ 6, $ 4 for the hairbrush, and $ 4 for hair comb. If your house is not rabbit proofed, you may have to repair the household items because rabbits are fond of chewing. So buying bunny-proofing material will be good for you. You have to pay at least $15/100 feet of cord protection. Also, you have to buy a litter box so that the house may not messy. You can buy a medium-sized litter box in $ 4 and you can spend more on the better options. Your bunny will require the soft surface to lie on (such as towel, and blanket). The soft surface cost around $ 4. Maybe you have not spent so much on caring for the rabbit, but these accessories play the most important role to keep the rabbit happy and healthy. Removing the uterus and ovaries from a female rabbit is called spay and when the testis is removed from the scrotal sacs in the male rabbit, it is neuter. If you want to keep your rabbit happy and healthy, then the gender-neutral procedure is very important for them. If you keep the unneutered rabbit, then after a certain age, they will suffer from various types of diseases. If you are planning on spaying or neutering your rabbit, you have to spend an initial cost of $ 50- $ 200+ to get your rabbit fixed from anywhere. As a result, your rabbit will be safe from health problems as well as behavioral problems. But even after this big expense, you will still need to examine your rabbit every day. You can also get help from a vet for the regular check-up. The cost of regular check-up depends on your vet. The veterinarians can charge between $ 35 to $ 65 for regular check-ups. The good news for you is that if you do not have enough money to spend on the rabbit, you can get help through VPI Pet Insurance. Pet insurance is available for you so that you may meet the requirements of the rabbits as well as overcome health problems. Besides initial investment, your rabbit requires the ongoing supply such as food and treats. You have to buy food items regularly including greens, hay, and pellets. When it comes to vegetables, depending on seasonal sale and type of vegetable, the price of vegetables varies. You should feed 2 cups of fresh vegetables to the rabbit daily. Well, organic vegetables are considered very good for them but organic vegetables are not always available. So if you buy non-seasonal vegetables, your weekly expense will definitely increase. There may be an additional cost of $ 15 to $ 20 per week. The cost of the hay and pellets depend on how much quantity you buy and from where you buy. If the small quantity of hay is purchased from the pet store, it will certainly be costly. On the other hand, buying hay from the feed store is the cheapest. But for this, you must first provide a place for hay up to 50+ pounds at the given time. Hay’s value depending on the region may be between $ 7 to $ 25. If you buy only 64 oz of a small bag of hay from the pet store, you will have to pay about $ 8. Also, if you want to make the best deal then buy commercial brands of hay from select merchants online. The pellets are mainly included in the rabbit diet because it contains all vitamins and minerals which cannot get from the hay. So these are fed as a supplement. The cost of pellets is also varied that depends on the quantity, frequency, and brand. For example, Oxbow brand is known for its good quality, that’s why it is more expensive. Its 5-pound bag lasts for 3-4 months if you have an adult rabbit. Its cost is approximately $ 10. Overall, you can spend about $ 80- $ 100 per month on the rabbit food. Using the litter box is necessary to prevent the house from becoming dirty. Mostly rabbit breeds are difficult to litter-train. As a result, you have to put more than one litter box for them. Due to having more than one litter box, the expenditure will definitely increase. Usually the cost of the litter box is based on your choice and it also depends on how many rabbits you have. You can get a cheap price by buying litter box in bulk. There are various types of litter box available on the market. If you want to choose the cheapest option, there are wood pellets which are available in feed stores. you have to spend $ 8 on 30 liters of wood pellets, $ 6 on 20 liters of wood shavings, and $ 8 on 12.5 liters of care fresh. It is found that an adult rabbit goes through about 13 liters of litter in a month. Toys are also included in the ongoing cost. The toys are used to entertain rabbits so that they may not attack your furniture. There are many toys that you can use over and over again to keep rabbits busy. The toys available in the market are also quite cheap. Even the things of the house which have no cost can also be used as toys. For example, toilet paper rolls, paper towel rolls, and cardboard boxes. These are free items available in the house. Even if you want to buy other toys for your rabbit then you can spend $ 15 per month. If you want to see your rabbit happy and healthy, they require regular check-ups. When it comes to veterinary cost, it depends on your rabbit health as well as your region where you live. Vet cost is usually for an annual checkup. Regular vet checkup usually starts from $ 40 and can reach more than $ 100. If the rabbit requires medicines or other services, you may also have to pay additional costs. The people who are not residents of America, we recommend that their rabbit should be vaccinated annually. Many times rabbits become sick and in some cases, an emergency vet has to be called. But compared to the emergency vet, a regular vet is cheaper. If they do check up alone, the cost starts from $ 80 and because of providing any kind of services, their visit costs increase. As far as we estimate, the cost of emergency vet visit can be from $ 100 to $ 150. If you are concerned about the health of the rabbit but you do not have enough money, VPI Pet Insurance is available for your help. VPI Pet Insurance starts from $ 8 per rabbit. Before publishing this article, we conducted a lot of investigation to estimate the amount spent on the rabbit so that you may think about buying a rabbit according to your income. Typically, it is found that the cost varies depending on the region, food, and other variables. We give you a rough estimate that if your rabbit does not suffer from any major health problems then overall recurring cost for 1 or 2 rabbits will be approximately $ 110 per month. ← Can Rabbits Eat Tomatoes?